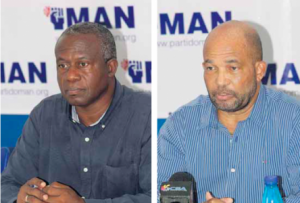 WILLEMSTAD – The largest political party of the island MAN expects to have a new government before the end of this year. This was confirmed by the President of the party Emil Walle. MAN, PAR, PNP and Pueblo Soberano (PS) have finally agreed on a collaboration with a majority of 12 seats in parliament. ‘Informateur’ Kenneth Gijsbertha will present his final report to the Governor today. The expectation is that a ‘formateur’, the person assigned to form a government, will be appointed soon. The MAN was always in favor of a coalition that can count on the support of 14 seats in parliament, bu the other future coalition members wanted a government supported by 12 seats. PAR, for example, indicated that they are not willing to work with the Independent MP Omayra Leeflang. Leeflang left the party a few years ago after a dispute about the leadership of the party and also the austerity measures that were taken against the pensioners. MAN last week indicated that they are not willing to form a coalition with the other Independent MP Marilyn Moses. Moses has a track record of not being so loyal to the coalition. MAN fears that Moses will do what she did with her former party PAIS if she does not agree with the other coalition members. MFK of former Prime Minister Gerrit Schotte and Korsou di Nos Tur of businessman Amparo dos Santos will not be part of the new coalition.